"To get away from one's working environment is, in a sense, to get away from one's self; and this is often the chief advantage of travel and change." Charles Horton Cooley. The Western Himalayas conjures up a vision of vast mountainscape, with its snow-crested lofty peaks, verdant mountain slopes, cascading streams and sun-bathed glens and valleys. This region has been one of the most active and vibrant rendezvous for races and cultures since remotest times. Generation after generation, hordes of people, belonging to diverse ethno-cultural backgrounds, different religious beliefs and varying art traditions have been pouring into this region from all directions. 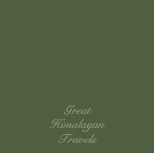 Great Himalayan Travels distinctive style of travel services offers something unique and different to an ordinary package holiday, vacation or guided tour. Now in our seventeenth year of discovery and service, we have the knowledge, expertise and vast experience to make your trip memorable, enjoyable and comfortable. We offer a complete range of conventional travel services like adventure travel, outfitters and guides, outdoor gear and apparel, family vacations, active travel, adventure sports, outdoor vacations, whitewater rafting, mountaineering, ropes courses, rock climbing, horse packing, camping and trekking, backpacking, hiking, bird watching, walking tours, bicycle tours, mountain biking, ski instruction, skiing, snowboarding, motorbike tours, fishing, hunting, hotel reservations, transportation facilities, honeymoon packages, sightseeing tours, taxis, hotel and resort bookings, and air, rail and bus ticketing. Staying true to our mantra of flexibility, fun and freedom, we offer you travel holidays and solutions, customized to your taste, requirement and comfort. 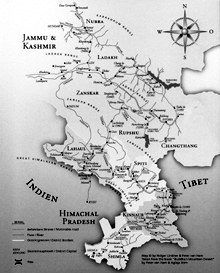 Located at Shimla, the former summer seat of the British and now capital of Himachal Pradesh, Great Himalayan Travels is a uniquely placed travel agency that offers the complete range of travel and guide services through the geographically diverse and culturally rich north Indian state of Himachal Pradesh, and the neighbouring district of Leh/Ladakh. We are destination and vacation specialists and our trips are designed to provide you with an authentic experience to some of Himachal’s most scenic and visited locations, and also intended to make travel through the region fun, effortless and convenient for you. At Great Himalayan Travels, we have studied, traveled, experienced and organized these wonderful locations and we look forward to sharing such fun filled travels and experiences with you. Family vacations, custom tours, or adventure sports, we have the expertise and experience to make each trip of yours, a convenient, enjoyable and a memorable trip. 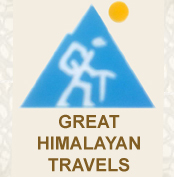 Great Himalayan Travels started operations in 1993. We have an experienced team of travel officers and staff, managed by Mr. Mohit Sharma, who personally is well traveled and experienced in this beautiful State and travel sector. The team is young, enthusiastic and courteous to assure you an experience you will remember. Actually, our greatest strength is in our staff who have a first hand and intimate knowledge of the land and its people. We love travel. It’s what drives us to provide you with professional services and embrace every opportunity to make a meaningful and lasting difference in the lives of the people who travel with us. We have various tours for your benefit and budget. We assure you a safe, pleasant and memorable trip each time you book with us. We provide travel services and information for people considering travel to Himachal Pradesh. We can tailor-make itineraries to suit your requirements and special interests. We can also suggest a range of options and perhaps give an idea or two that will make a trip with us a truly memorable experience. We also have considerable experience in handling a diverse profile of international customers. Come travel with us. Allow us to introduce you to our world of dependable, fresh, and innovative journeys. We look forward to serve you. Our search keywords: tour operators in shimla, tour operators in himachal, travel agents in shimla, travel agents in himachal, taxi service in shimla, taxi service in himachal, transport operators in shimla, transport operators in himachal, tourism in himachal, holiday himachal, himachal tourism, trekking in the himalayas, rafting in himachal, jeep safari, trans himalayan jeep safari, western himalayas, trekking in the western himalayas, monasteries in himachal, buddhist circuit in himachal, camping tours, bycycle tours, mountain biking, biking in the himalayas, hotel booking in shimla, hotel booking in himachal, sight seeing tours in shimla, rafting in shimla, camping in shimla, car rental in shimla, car rental in himachal, cottages in himachal, water sport in himachal, hotels in himachal, pilgrimage in himachal, temples in himachal, forts in himachal, palaces in himachal, himachal tours, india hotels and resorts, himachal tour packages, india tours, himachal pradesh travel agents, book hotel in himachal, tourist information centre, taxi service in himachal, himachal tourism, hptdc web site, himachal tourism web site, holiday in himachal, budget holiday in himachal, fairs and festivals in himachal. 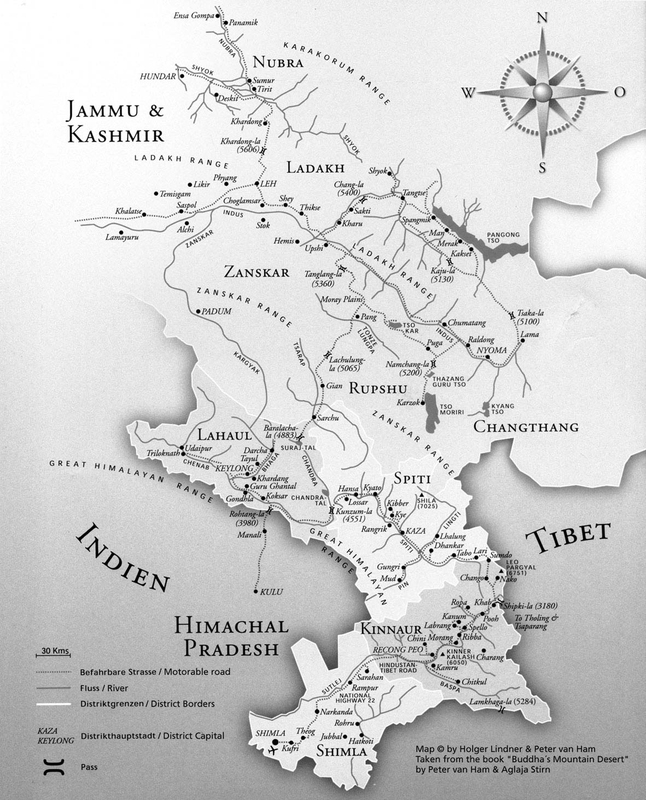 Copyright © 2013 Great Himalayan Travels. All rights reserved.